Until I find a way to add more hours to the day (does anyone know how? By all means, let me know!) I'm going to continuously be on the lookout for ways to cut down on meal planning and how much preparation time is spent for breakfast, lunch and dinner. 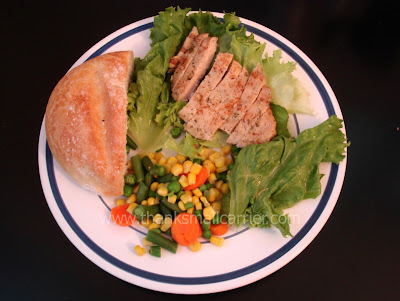 Considering that my skills in the kitchen are, to put it nicely, fairly limited, finding recipes or ingredients that are simple and easy to make are definitely a plus. 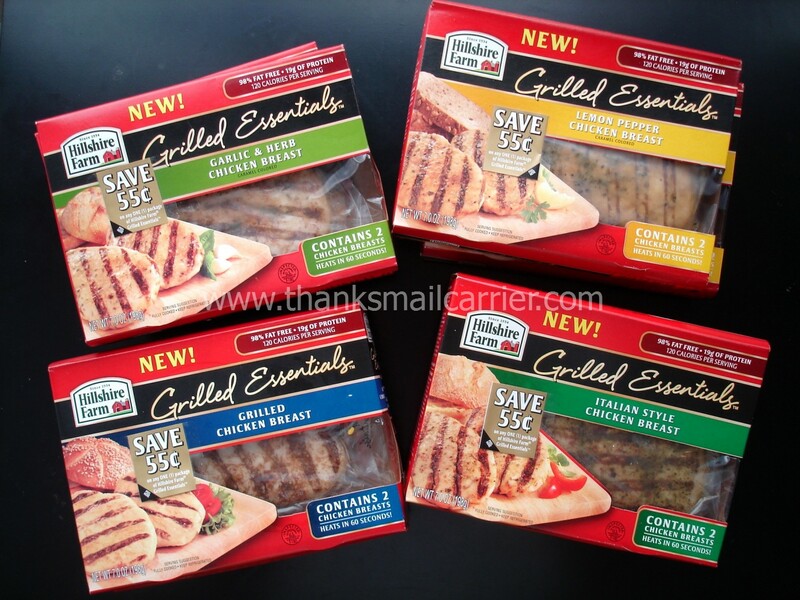 Therefore, when I heard that Sara Lee is debuting a new line of Hillshire Farm pre-cooked, pre-seasoned chicken called Grilled Essentials, I knew that they would be a hit in terms of preparation as well as taste! Hitting the store shelves very soon, these two-packs of chicken breasts are the ultimate in convenience. Each one has only 120 calories, is 98% fat free, contains 19 grams of protein, and require just 60 seconds in the microwave and they're ready to eat! I don't know about you, but I can handle cooking when it requires pushing a single button and waiting only one minute. Whether you're having Grilled Essentials with breakfast in an omelet or burrito, with lunch (at home or at work) atop your favorite salad or in a sandwich, or with dinner in pasta, stir fry, tacos, on pizza, or many more, the fact that you don't have to spend any time standing at the stove is a major plus for busy families. When a sampling of flavors arrived, we were ready to put our taste-testers to work! 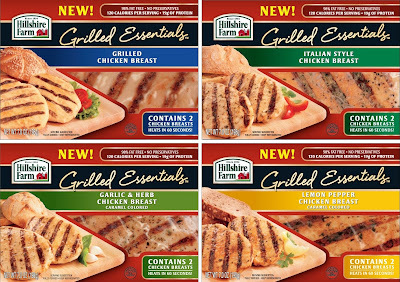 As it turned out, preparing the Hillshire Farm Grilled Essentials chicken was truly as easy as I had hoped. 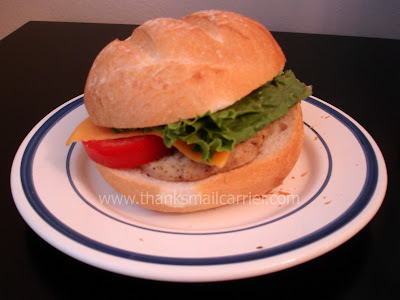 The first meal we tried was a classic chicken sandwich and, after placing the Italian Style Chicken Breast in the microwave for 60 seconds, all that was needed was to place it on a roll with lettuce, tomato and cheese. It was a hit! My husband, who is a fairly picky eater, was very happy with the flavor, texture, and just how juicy this chicken was. Prior to this sandwich, he had been quite skeptical that microwaved chicken wouldn't taste dry and rubbery, but after a few bites he was converted! For anyone with a broader palate, it would also have been easy to add ingredients such as mayo, spinach, bell pepper, and more to make this sandwich custom and even more delicious. 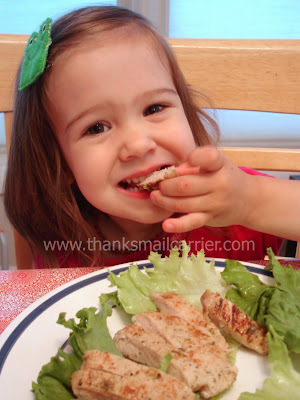 Little Sister B's first introduction to the Grilled Essentials was through a more simple and uncomplicated plate: chicken and vegetables. ...her plate was completely cleared in minutes! This chicken is just so handy that I was continually amazed at the lack of preparation or clean up involved. The result has always been moist and flavorful and all four varieties have had positive reactions. The regular Grilled Chicken Breast is great for when the flavor of the rest of the meal is more powerful, the Garlic & Herb is just right for garlic-lovers, the Italian Style is delicious on pasta, and the Lemon Pepper has a great lemony taste that isn't overwhelming. 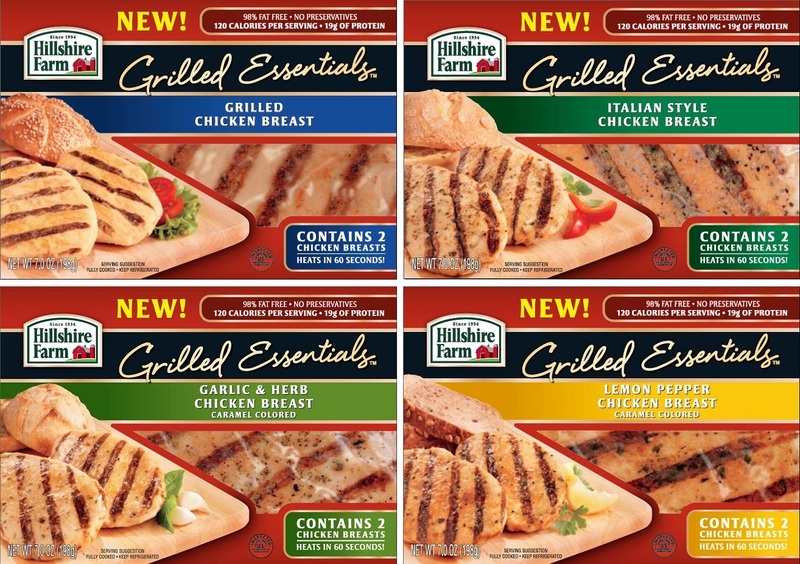 Hillshire Farm Grilled Essentials will be showing up in the refrigerated section of grocery stores in only a few weeks, so you'll soon be able to make quick, nutritious meals for your family as well! 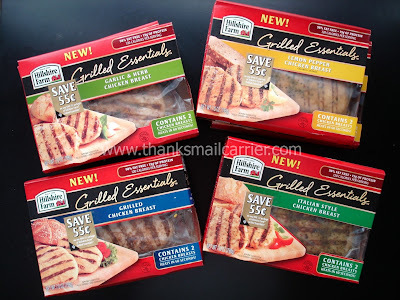 To help get ready for the launch, don't miss the #GrilledEssentials Twitter Party on Tuesday, August 30th from 9 - 10 pm EST where you'll get to hear even more about this tasty and convenient chicken! Disclosure: This shop has been compensated as part of a social shopper insights study for Collective Bias but all thoughts and opinions are honest and my own. Great post. My husband can be a picky eater too, I will have to try these. The lemon pepper sounds like something I would really like.